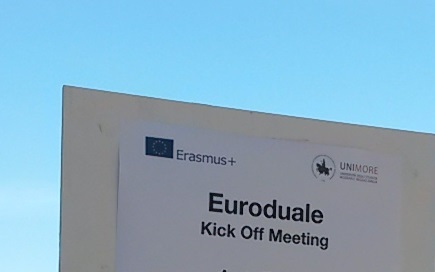 Die European Foundation for Education ist Partner des dreijährigen Erasmus+ Projekts “EuroDuaLE - European cooperative framework for Dual Learning”. Die Strategische Partnerschaft im Hochschulbereich wird von der Universität Modena und Reggio Emilia, Italien, koordiniert und von der Europäischen Kommission gefördert. 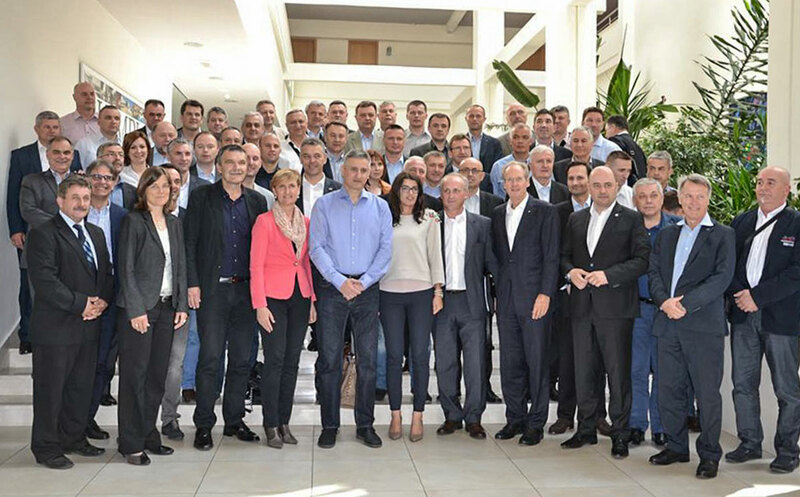 Das Auftaktmeeting fand im Oktober 2015 in Modena, Italien, statt. Der Ausbau praxisorientierter Bildungsangebote stand im Mittelpunkt zahlreicher Gespräche von Prof. Dr. Wolfgang Schuster, Präsident der European Foundation for Education, in Kroatien und Slowenien. Unterstützt wurde er dabei von Dr. Michael A. Lange, Leiter des Auslandsbüros Kroatien der Konrad-Adenauer-Stiftung. In Slowenien hatte Botschafterin Dr. Anna Prinz Repräsentanten aus Bildung, Wirtschaft und Politik zu Gesprächen in Ljubljana eingeladen. 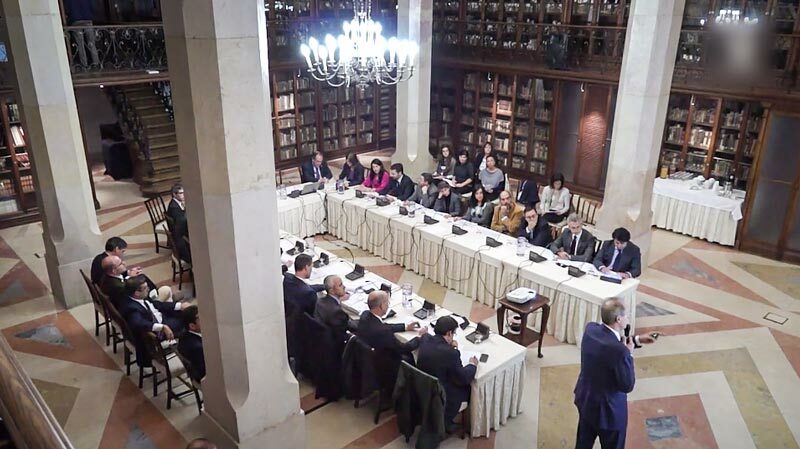 In March of 2015, Prof. Dr. Wolfgang Schuster, Chairman of the European Foundation for Education, was invited to talk about dual higher education in Bulgaria. The round table was organized by Dr. Marco Arndt, Head of the Konrad-Adenauer-Stiftung office Bulgaria. In December of 2014, Prof. Dr. Wolfgang Schuster, Chairman of the European Foundation for Education, hold a workshop in Italy together with Caroline Kanter, Head of the Konrad-Adenauer-Stiftung office Italy, and representatives from parliament and educational institutions. In November of 2014, Prof. Dr. Wolfgang Schuster, Chairman of the European Foundation for Education, and Dr. Klaus Vogt, Vice Chairman of the European Foundation for Education, met representatives from the education sector as well as from business, politics and administration in Romania. Round Table on “Employment and Employability” with Prof. Dr. Wolfgang Schuster, Chairman of the European Foundation for Education, Graça Fonseca, Deputy Mayor for Economy, Innovation, Modernization and Descentralization, and Paulo Soeiro de Carvalho, General Director for Economy and Innovation, at the in Lisbon, Portugal, in November of 2014. “Social Market Economy for Sustainable Growth” – this was the headline of the lecture of Prof. Dr. Wolfgang Schuster, Chairman of the European Foundation for Education, in Kaunas, Lithuania, in March of 2014. 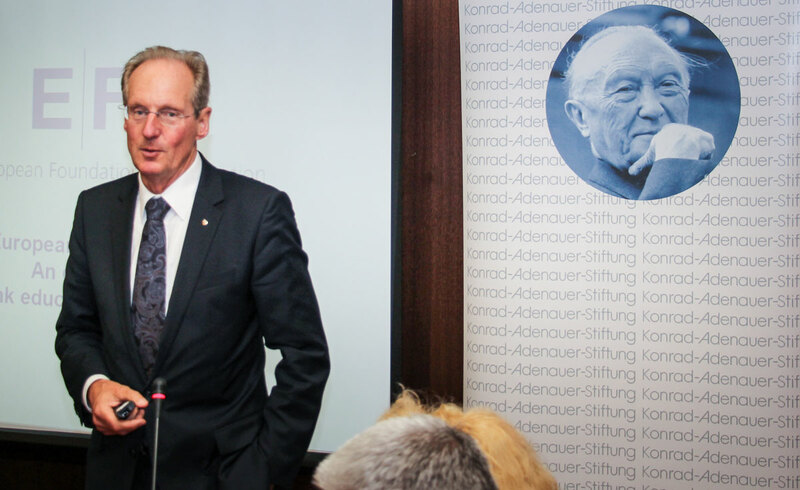 The former mayor of Stuttgart was invited to give the keynote speech at the international academic conference of the Kolping University of Applied Sciences in Kaunas. 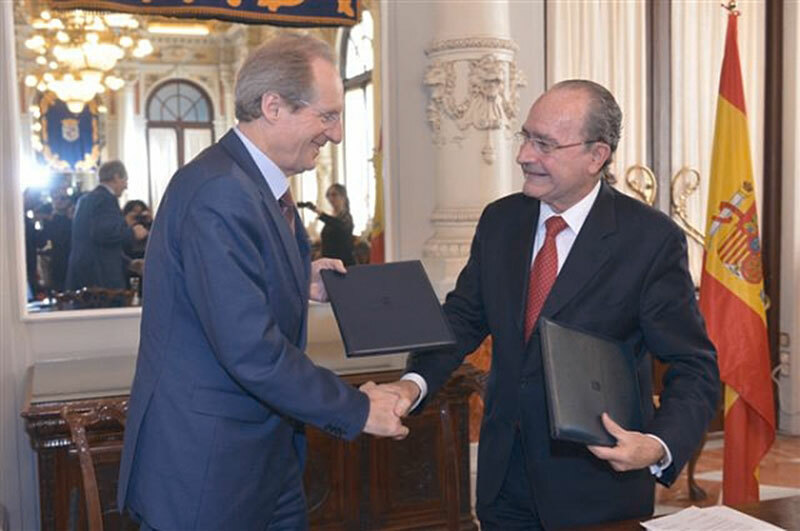 In January of 2014, Prof. Dr. Wolfgang Schuster, Chairman of the European Foundation for Education, and Francisco de la Torre, Mayor of the city of Málaga, signed a memorandum of understanding in Málaga to cooperate and open up career opportunities in Germany for young people.